Enko-football: Galatasaray leads Ranocchia on loan! Galatasaray leads Ranocchia on loan! Galatasaray chairman Unal Ajsal today said that his team is trying to bring football player Inter Andrea Ranocchia on six-month loan. "We are negotiating with Inter and Ranocchia.We are trying to bring him and it would be odd not to succeed. Our coach Roberto Mancini wants to reinforce the defense," said Ajsal Turkish media. 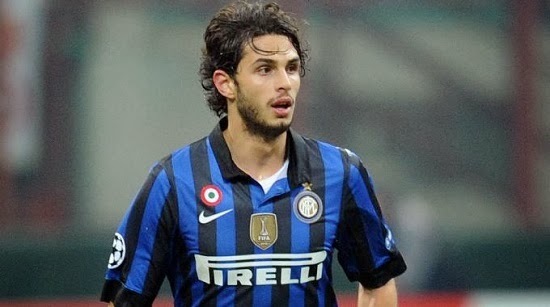 Ranocchia (25) is the 2011th was transferred from Bari to Inter Milan, and before that he played for Genoa and Arezzo. Galatasaray is currently second in the standings Turkish championship with 34 points, 10 less than the first-ranked Fenerbahce.